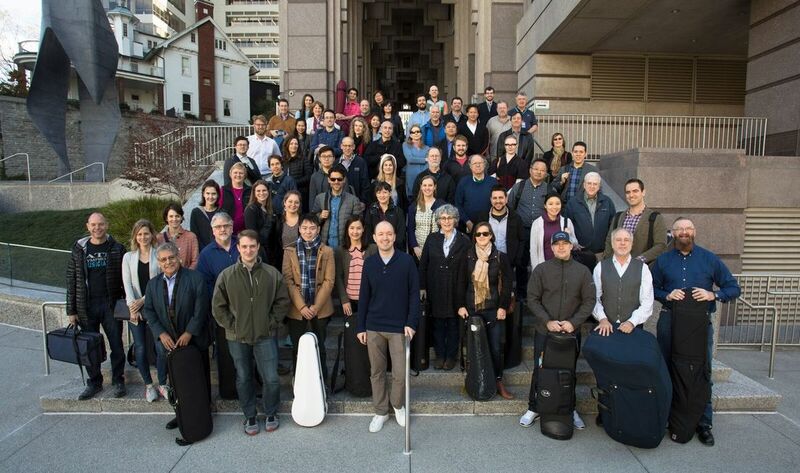 We are the 88 professional musicians who make up the internationally renowned, Grammy award-winning Atlanta Symphony Orchestra. We strive to provide our community with musical performances of the highest artistic caliber as we proudly serve as cultural ambassadors for Atlanta and the State of Georgia. As the artists who sustain the ASO, the Southeast’s preeminent cultural institution, we perform more than 200 concerts annually – including Classical, Pops, Educational, and Family concerts. We take great pride in bringing you music year-round in numerous venues around metro Atlanta and Georgia. In addition to these live performances, our more than 100 recordings have earned 28 Grammy awards and are heard by millions on radio broadcasts nationwide. Our commitment to excellence transcends our activities at the concert hall. We are committed to our community. We are committed to Atlanta. We are committed to you. More than just performers, we are teachers, deeply invested in the future of Atlanta’s youth and the importance of music education. We are innovators, constantly searching for new ways to share our love of music – music new and old – at different venues within our community. We are families – deeply rooted within our community – raising our children and taking part in all that our great city has to offer. We are part of a beautiful tradition that bridges divides and brings people together. A city as vibrant as Atlanta deserves a world-class orchestra. We are committed to preserving the artistic integrity, quality, and traditions that have made us the esteemed ensemble that we are today. We are committed to being a permanent part of Atlanta’s cultural scene, and a positive force within our community. We thank you for taking the time to get to know us. Here we will keep you abreast of our upcoming performances and community endeavors. We will be posting pictures, news, and interviews, and will attempt to answer any questions you may have about us.